*This class is part of Uma's online mentorship program that started in January. Attendees are welcome to take classes as they come up. The concept of Chakras have been around for over 5,000 years but yet the knowledge of these amazing energy centers have been infrequently referenced throughout the ages. In this two hour webinar, Uma goes through thoroughly the history, uses and definitions of chakras with a focus on the main seven. You will learn about detecting chakra imbalances and also learn how to heal them yourself! 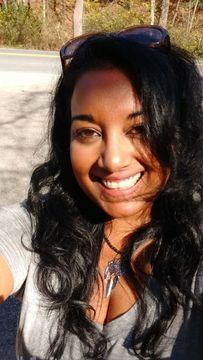 Uma is the owner of Lotus Wellness Center and a certified Ayurvedic lifestyle consultant. Uma has over 40+ modalities in metaphysical education and she loves to share her knowledge with the world! Once you RSVP, please make your payment by Paypal and send with a note "Payment for Chakra Online Class". You will receive the Zoom link on Monday afternoon. This webinar is NOT recorded or available after the live session.